The City of Winchester, Indiana, recognized a need to promote the efforts, activities, successes and partnerships of the City, both internal and external. 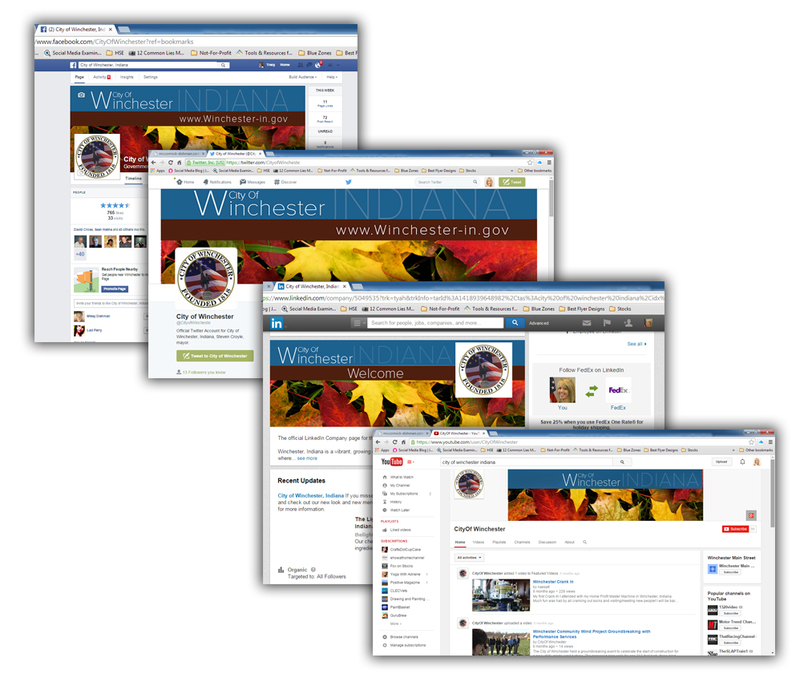 The City of Winchester’s Redevelopment Committee was intrigued about the success of social media and also needed a professional who was well-versed in website design and development. McCormick-Dishman, LLC is contracted for planning, development and implementation of all of the organiation’s marketing strategies, marketing communications and public relations activities, both external and internal. Phase I of the Integrated, Multi-Channel Marketing & Communications plan is the coordination of the City’s brand, redevelopment of the existing website and implementation of a social media strategy.